The quality of your life shouldn’t be compromised and neither should the quality of your manual wheelchair. At Love Mobility, our extensive range of manual wheelchairs provide comfort and superb adjustability to encourage independence. Manual wheelchairs come with a whole host of styles and sizes and we have the experience to assess your needs and find the right wheelchair for you. We have stock that ranges from a basic transit chair that is pushed by an attendant, to a self propelled lightweight sports chair that will make a difference in any sport. Here we give you an overview of some of the various types of wheelchair available, however, our team are on hand to advise you which one will best meet your individual requirements. Self-propelled: Self-propelled chairs require the user to use their upper limb, body and grip strength to move the wheelchair, usually by grasping the wheel rims and moving the wheel, and thereby the chair, in the chosen direction. 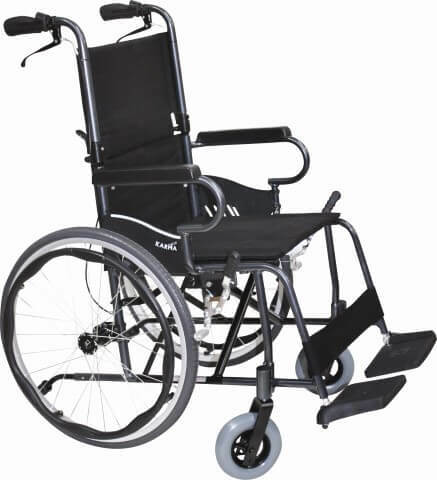 Self-propelled chairs have large rear wheels for the user to grasp and push. Attendant-propelled chairs have much smaller rear wheels. This means that the self-propelled chairs tend to give a smoother ride as the large rear wheels better span lumps and bumps in the road/floor surface. If you are privately buying or renting a chair, you may wish to consider this, irrespective of who will propel the chair. Attendant: Attendant-propelled chairs require another person to push the chair from behind, using handles at the rear of the back support. 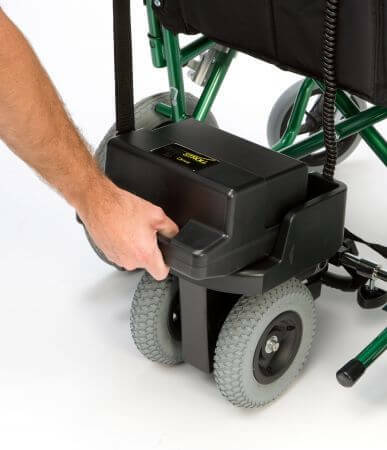 If you are obtaining an attendant-propelled chair, ensure your carer is fit and strong enough to push the chair and manage obstacles such as kerbs. Reclining and tilt in space: Wheelchairs are available which have the ability to recline or tilt in space. These would help someone who has weak upper body strength or experiences back and/or hip pain and needs to rest.These are two separate movement mechanisms. The reclining chairs have a back which reclines, but the seat remains static. Elevating leg rests may be required to make this a comfortable option. Tilt in space chairs tilt the back and seat backwards as one unit, keeping the same angle at the hips, knees and ankles. When either of these mechanisms is used, the chair becomes very long and not very manoeuvrable. Consider what space will be required when used inside. Look to see how these mechanisms are operated – can they be used by the person in the wheelchair, or will help be required? Can they be operated when the user is in the chair? High Performance & Sports Chairs: These are the lightest and most manoeuvrable chairs available. They are designed to require less effort to propel or push, so are often used for sport. High performance chairs are low-backed and tend to give minimal side support. The rear wheels are larger and may be angled to assist with propelling. They are often very adjustable to meet individual needs and preferences. The Karma Ergo 125 is a functional wheelchair with an elegant design. The Karma Ergo 125 is made using aircraft grade aluminium and can weigh 13.1kg as a transit wheelchair, or 14.2 kg as a self-propel. The S-Ergo seating technology will help to reduce sliding and increase comfort by redistributing pressure; this will help to promote good posture when used over a long period of time. 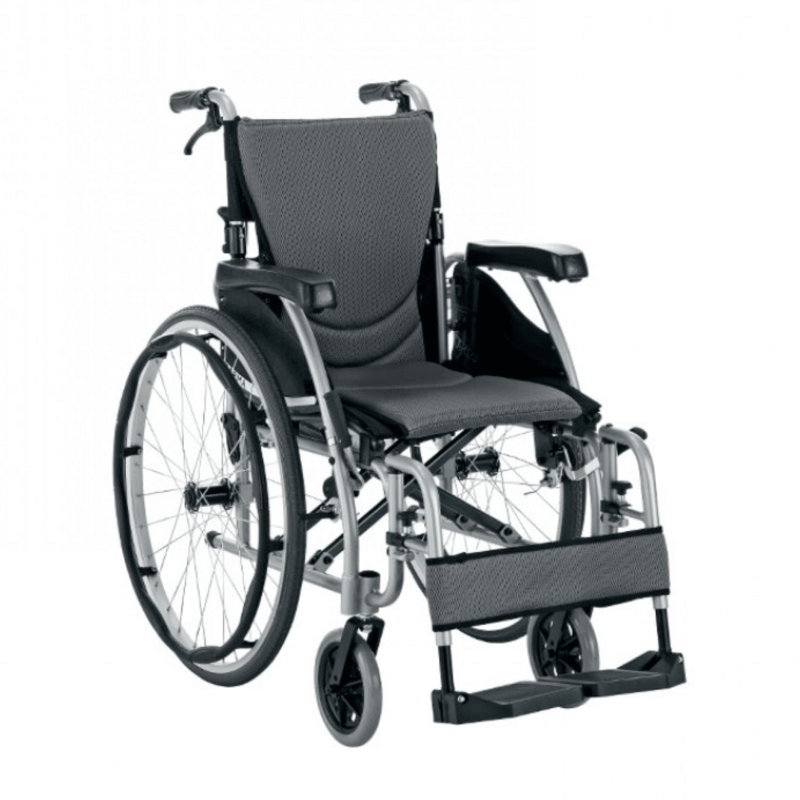 This robust lightweight wheelchair has a roomy padded seat. The almuminium frame has a system of cross braces and linking bars which give the robin its strength. The Karma Robin is a lightweight self-propelled wheelchair which has plenty of room thanks to the large padded seat designed for everyday use. Its frame has a system of cross braces and linking bars which provides the strength and durability expected from the Karma range. 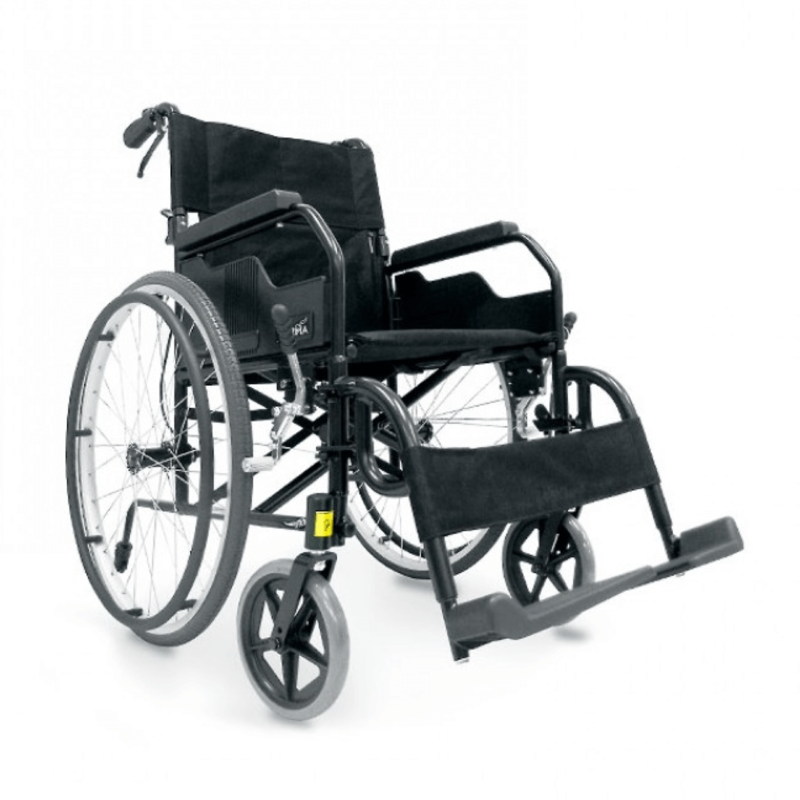 A compact lightweight wheelchair with patented swing away footplates. The Dove transit wheelchair is unique due to Karma’s use of specialist materials, leaving you with a strong and rigid frame that is light in weight. This “classic” chair comes equipped with fixed armrests footrests. 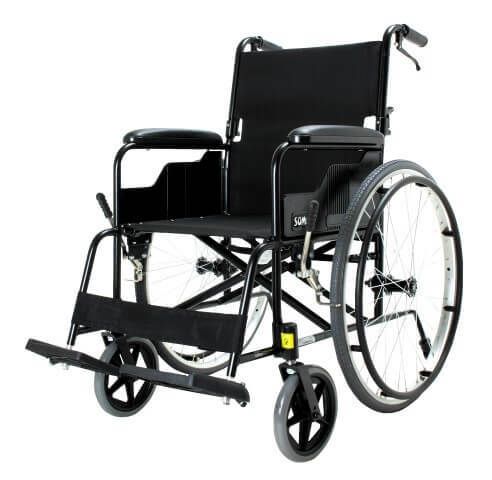 The lightweight qualities of this wheelchair will ensure you find it easy to use with transport, or when storing away. The transit model weighs 10.5 kg when fully assembled but can be lowered to 9 kg when parts are detached. The Sparrow is a lightweight, easy to use wheelchair which offers outstanding value for a durable product. The Karma Sparrow is easy to manoeuvre thanks to the lightweight aluminium frame. It’s fully equipped with puncture proof tyres and has a maximum user weight of up to 100 kg (16 stone). It’s the double cross-braced frame that adds stability and strength to this wheelchair, making sure it stands the The weight of just 11.7kg when fully assembled makes it easy to lift. It is possible to obtain a powerpack which attaches to a manual chair, in effect adding a motor. They are fitted very easily and offer a full conversion to a powered chair with a joystick; or giving a level of assistance, which takes some of the strain out of manually driving a chair, or for the carer pushing. You can still choose to manually drive your chair for periods, even when they are fitted. 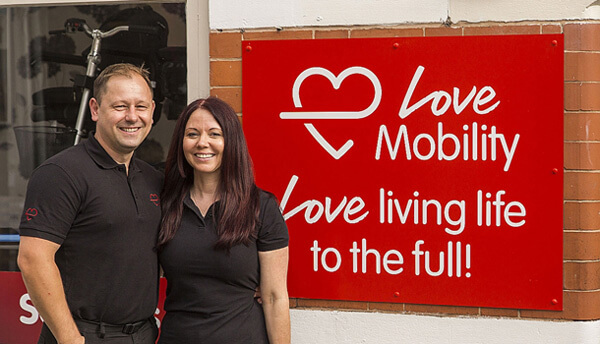 Give us a call or pop in to our showroom to ask one of our mobility specialists for more information.